 Log In needed $2,100 · Newly renovated 2 Bedroom Near the Ocean and Downtown! Available May 1. This bright, newly renovated beauty of a suite truly has everything, including amazing views of the Gorge waterway and Olympic Mountains! Treelane Estates is situated right on the banks of the Gorge waterway. It has waterfront access for swimming, kayaking and diving, and is tucked away from traffic down its park-like private driveway. 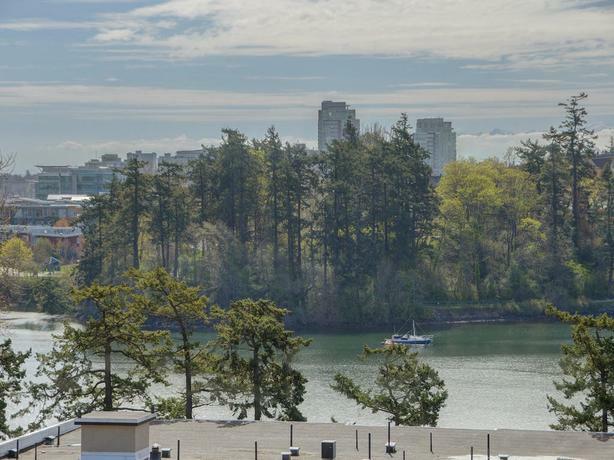 Only 5 minutes from downtown Victoria, we are also centrally located within a couple kilometers of Uptown, Tillicum, Mayfair and Hillside shopping centres. There are plenty of grocery stores, restaurants, pubs and cafes in the surrounding neighbourhood. There are several local parks for sports and leisure. The Galloping Goose trail passes by a few blocks down and we are located on a bus route. The new upgrades include a new kitchen with stainless steel appliances, renovated modern bathrooms and new flooring throughout. The building is concrete, beautifully maintained, and boasts tons of great features. Included here are a workshop, games room, outdoor BBQ area and a large common room for larger gatherings. There is covered parking, secure storage, lockup areas for bikes, motorcycles and kayaks. The apartment has its own sunny balcony, and laundry is just across the hall from the suite! Rent includes water, garbage and recycling removal, access to building amenities and maintenance.